Join our team in New Jersey! Looking to enter the Outdoor Industry? If a casual office environment sounds like your scene, you’re open to some regional and national travel, and willing to grow within a team oriented, family owned company- a position at Princeton Tec could give you the opportunity to get started putting your expertise to work! 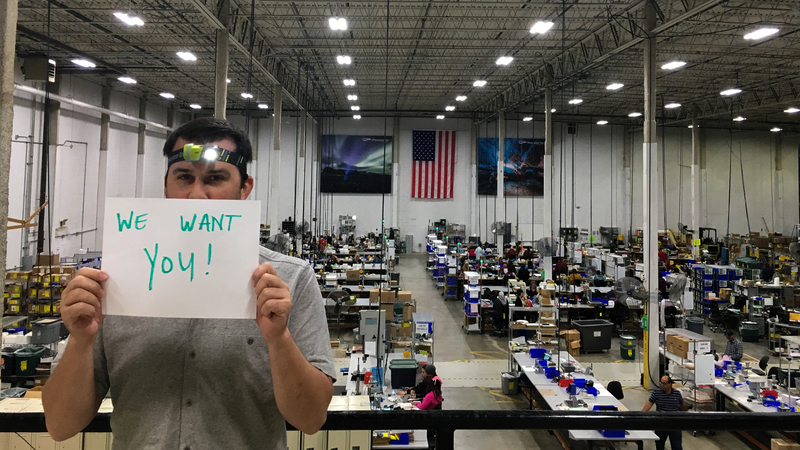 Princeton Tec, a US manufacturer of personal lighting products since 1975 seeks a full time Dealer Service Representative to assist the Sales Team. Princeton Tec focuses on the Outdoor, Tactical, Industrial, and Dive markets. You will work with all divisions within the company, acting as a brand ambassador to ensure the highest level of dealer service possible for consumers, dealers, distributors, and new business leads. The position is located in Pennsauken, New Jersey. You should have professional communication skills, swift problem solving ability, and be capable of multitasking in a continually evolving work environment. You should also have experience and proficiency with MS Office, a passion for the outdoors, and an understanding of the outdoor marketplace. Interested? Shoot a cover letter and your resume to careers@princetontec.com.